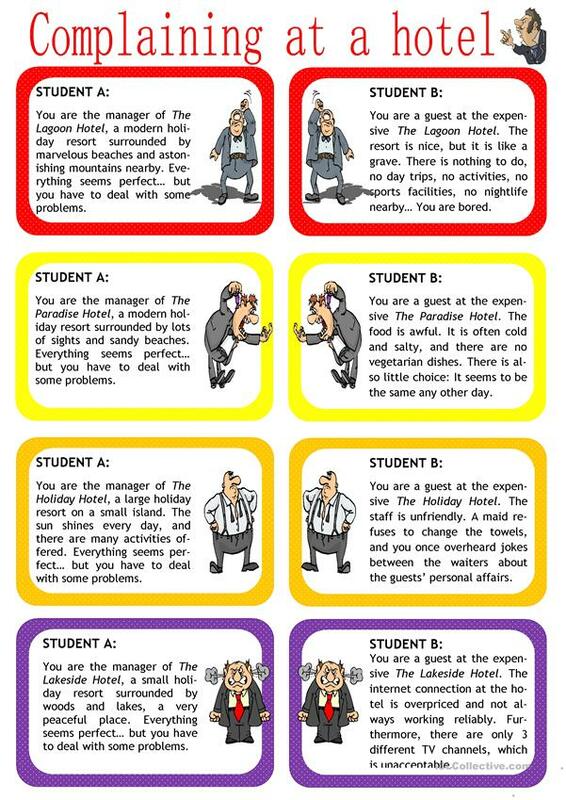 This is a role play game to practise complaints in a hotel. There are four different situations to complain about. One partner is the hotel manager, the other the guest. 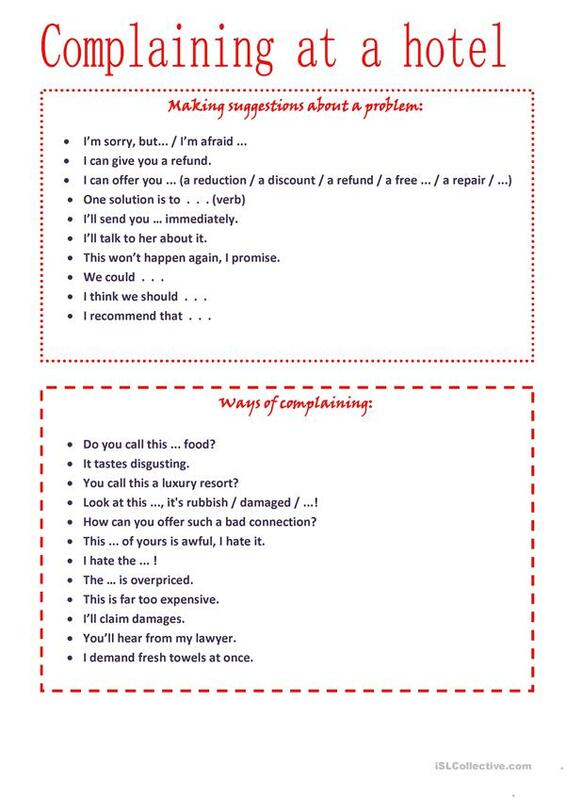 On page 2 you´ll find some useful sentences for these situations. - Typo removed, thank you for PM. This downloadable teaching material is intended for business/professional students, high school students and adults at Pre-intermediate (A2) and Intermediate (B1) level. It can be used for developing your learners' Speaking skills. I also share my work at eslprintables.com.